Southeastern USA at night, ISS image. 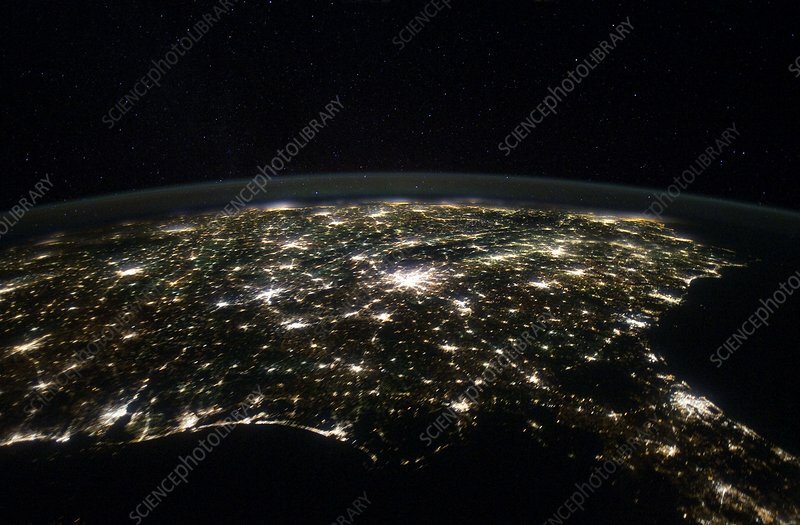 Photograph of southern USA at night taken by astronauts aboard the International Space Station (ISS). Street and building lights from cities and towns illuminate the night sky. The large unlit region at bottom is the Gulf of Mexico and to the far right is the Atlantic Ocean. The brightly lit region at centre middle is Atlanta, Georgia. At lower right is Jacksonville, Florida, another large and brightly lit city. Photographed 29th January 2012.